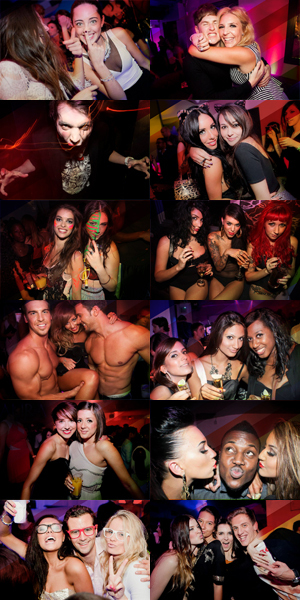 Jalouse Nightclub - The Hottest London Nightclubs - Get on the Guestlist & Book a table! Hidden away right in the middle of Mayfair, you can find Jalouse – a lavish nightclub for members only. The environment is one that invites only the elite, with some of the most-well-known celebrities making their appearances – P. Diddy, Leonardo DiCaprio, Paris Hilton, and Pete Doherty have all been seen at the Jalouse Night Club, and are just a few examples of celeb’s that like to drop in from time to time. Getting into the Jalouse nightclub is not an easy thing to do! There are sets of rules in place for letting people in, and they tend to be quite strict making it a good idea for you to get your name added to the Jalouse GuestList if you want to experience this elite nightclub. Because Jalouse emits an atmosphere of excellence and class, membership is strictly limited to those who already know a member. You can contact us to find out more about getting included on the Jalouse GuestList. There’s a dress code, because we want you to look glamorous as you make your way through the red velvet ropes and then down the elegant stairway. Once inside, be sure to look up! The ceiling is not only made up of a multitude of light bulbs that glow in time with the music, it also goes up and down all night long! Really cool. The dance floor has recently been redesigned so now it reaches all the way to the VIP section, which is located near the back and held in reserve for our top clients. The music is mainly house music, electro-rock, with some hip hop and R&B thrown in on Thursday evenings. The music is perfect for the hip and ready to party crowd at Jalouse! The way Jalouse is illuminated with the ceiling crystals gives off that feeling of chic-Hollywood. Have a seat at one of the many tables surrounding the dance floor, and enjoy some Champagne, a very popular choice! Our door, bar and wait staff can help you get what you need. Come join us at the stylish and lavish Jalouse Night Club! Our ability to only accommodate only 400 people makes for a quaint atmosphere where you can expect lots of personal service!